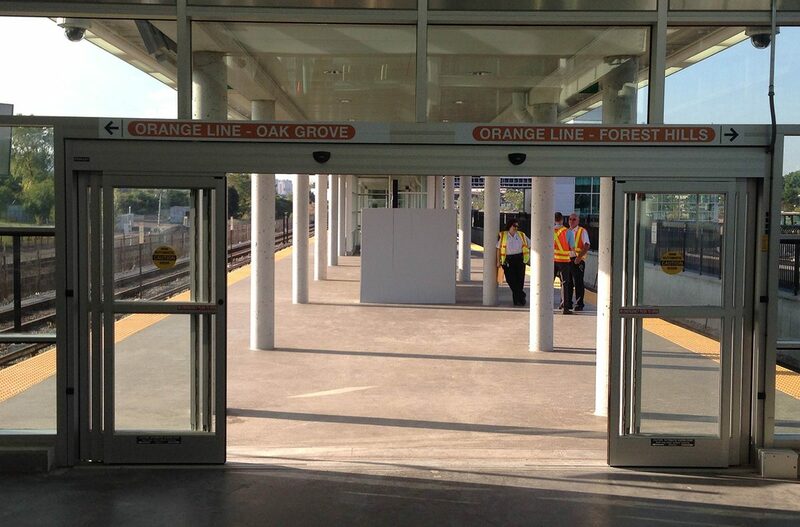 Customers can now access the new Orange Line stop. By Steve Annear·	 9/2/2014, 10:55 a.m. 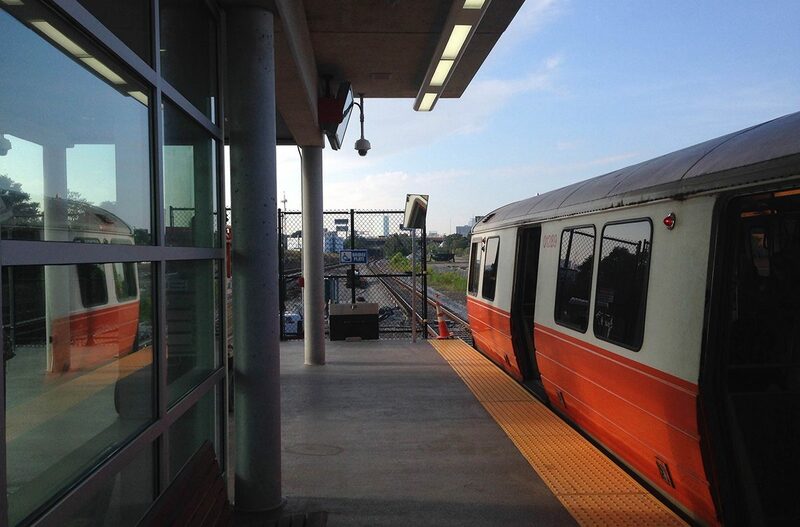 Early Tuesday morning, after the long Labor Day Weekend brought the summer season to a close, commuters slowly began to trickle into the first rapid-transit MBTA station to be built in the last 27 years. 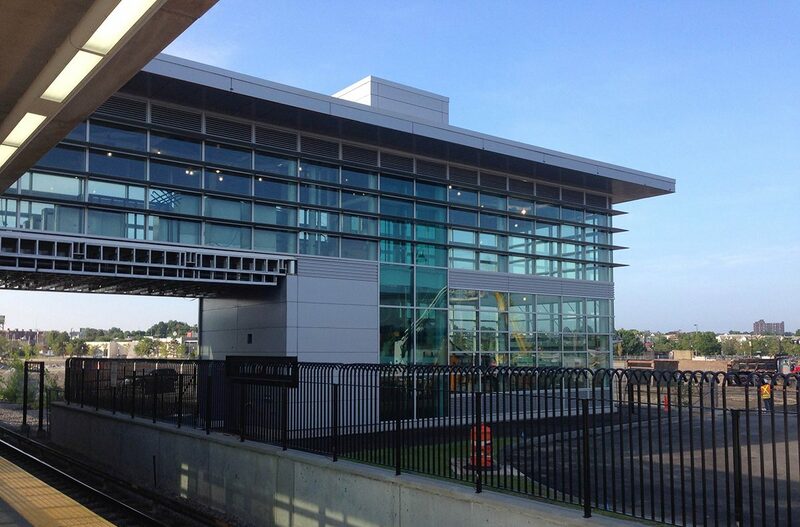 Created to accommodate Somerville’s new mixed-use Assembly Row development, a blend of retail stores, upscale apartments, and restaurants along the banks of the river, the MBTA’s Assembly Square station—for now it’s a skeleton of what it’s expected to look like come November—had that new car smell and familiar feel of a train stop. 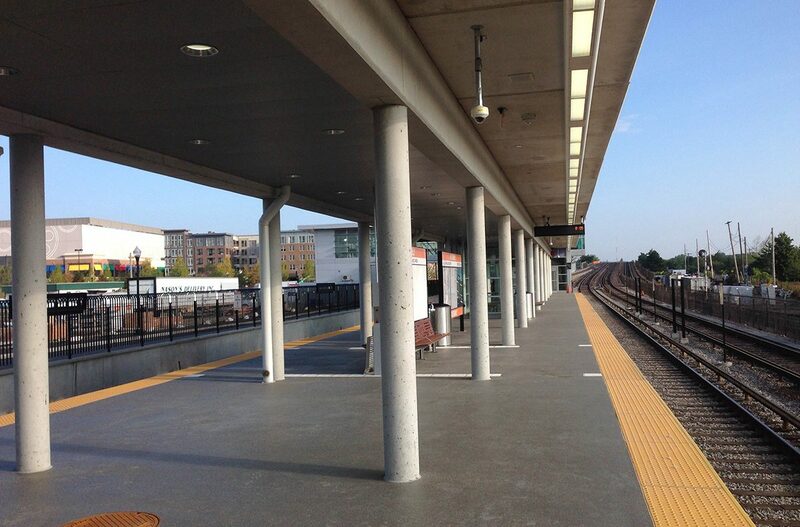 Upon entering just before 8 a.m., the station was rife with transit workers greeting the flow of passengers who stepped through the fare gates for their first ride from the recently constructed outdoor platforms. 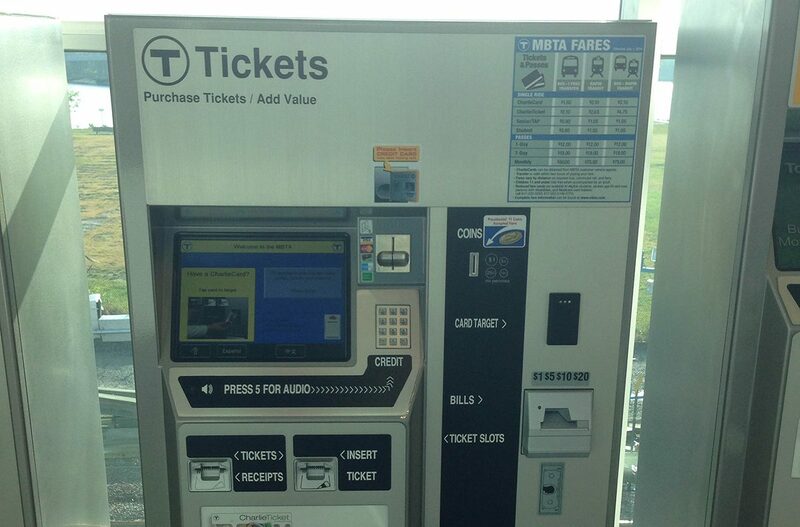 “We had some people who came all the way from Dorchester just to see the station and say they were some of the first people to use it,” a T employee said as he stood near the ticket kiosks at the top of the station’s steps. 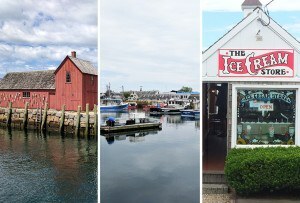 By 8:30 a.m., workers said around two dozen people had visited the stop. 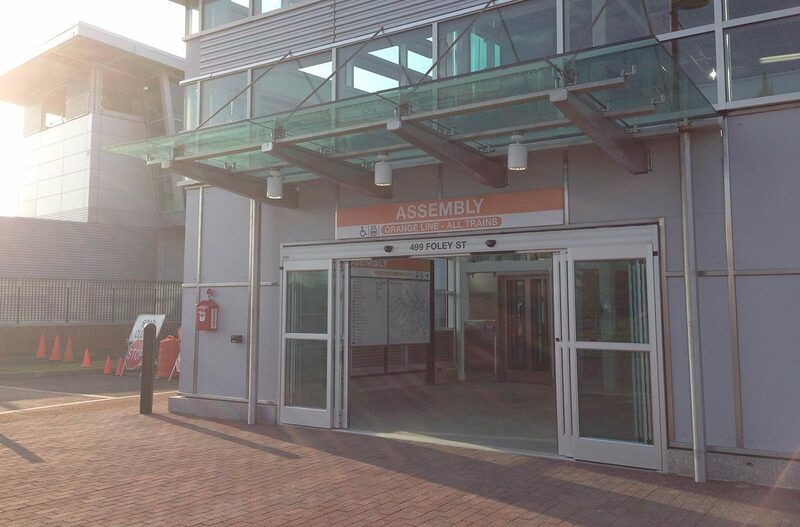 While fairly common in its design, save for the 360-degree views from the large glass windows of the two-story structure, the Assembly Square Station is equipped with updated amenities including ADA compliant ticket kiosks, which workers said could soon be installed in other train stations throughout the system. 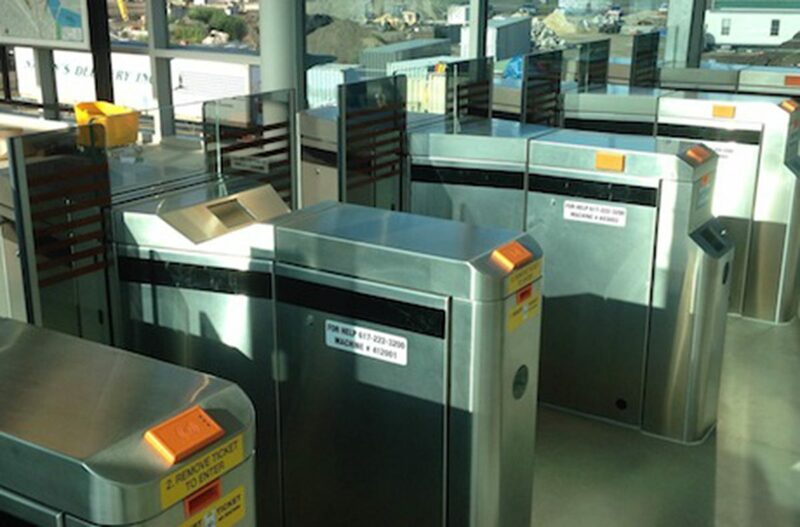 The fare gates also had a new look, and featured orange CharlieCard access pads and painted lines on the glass doors to match the train line they serve. 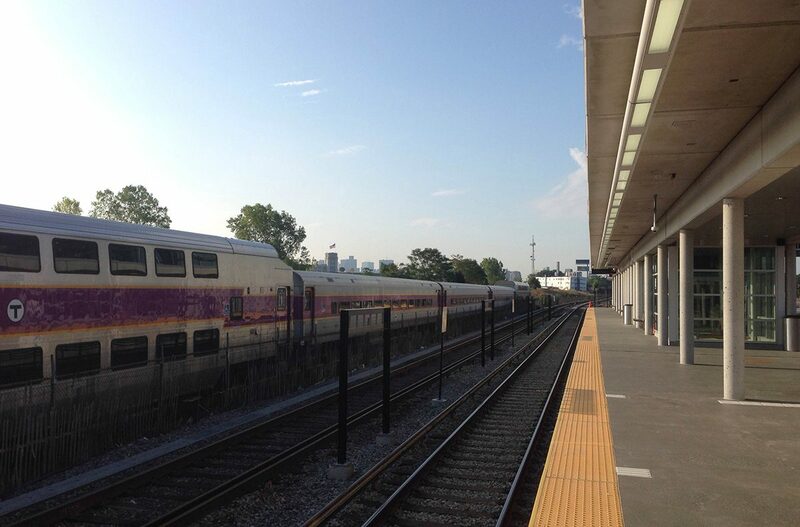 Down on the platform, where riders waited for packed train cars to arrive and take them to Boston, more than 10 security cameras were visible on the landing. 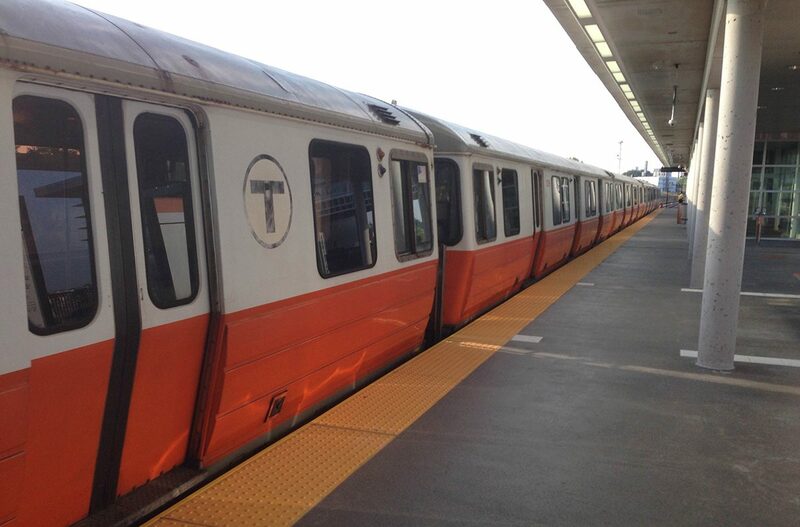 Continuing their efforts to integrate technology into the commuting experience, the T also installed countdown clocks on both the inbound and outbound sides of the station, although they were not functioning as of Tuesday morning. 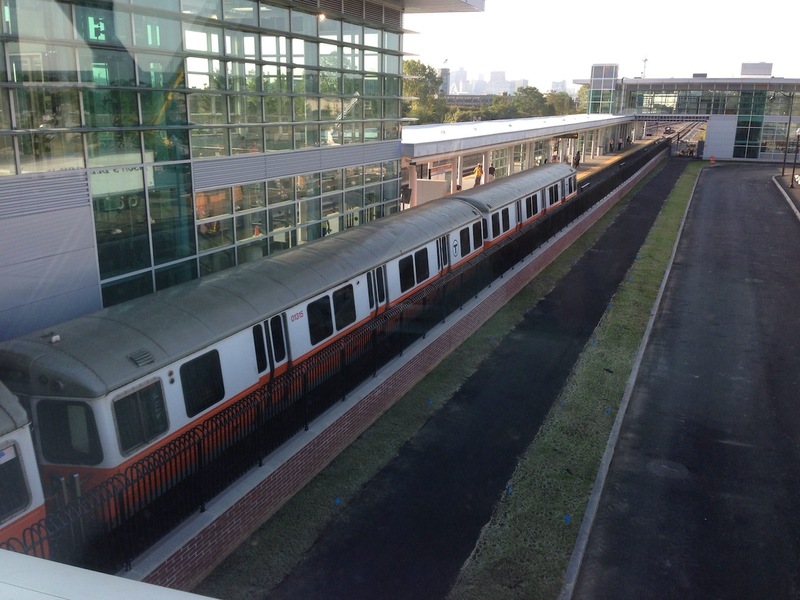 Paul Engelberg, who was one of a handful of people to use the station for the first time Tuesday morning, said the only thing the station lacked was adequate access to the front door via shuttles or buses. 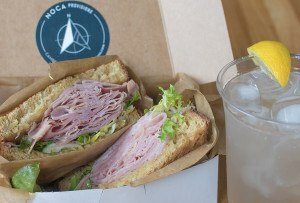 “It’s going to be great to have something like this here, but its success will depend on if they have buses dropping people off,” he said. 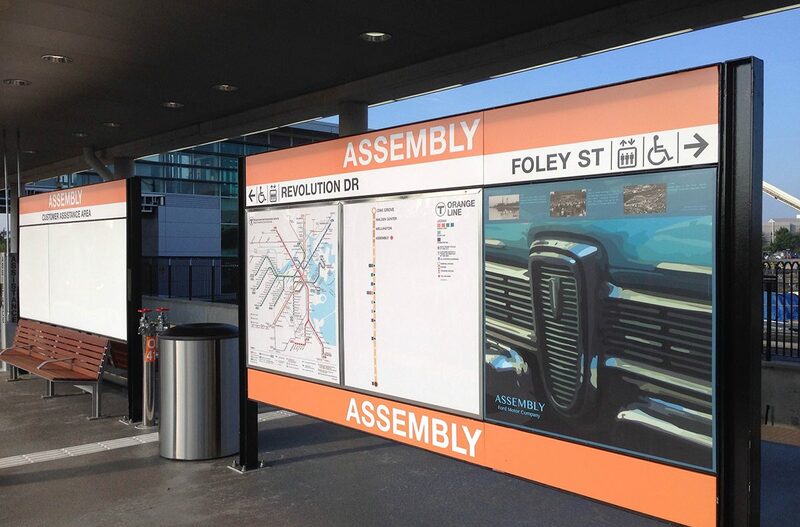 Unfortunately for riders, MBTA officials said the only buses that will serve the station are the existing routes—the 90 and 92—that drop off passengers on the outskirts of the plaza, far from the main entrance. The station seems poised to mostly serve shoppers coming in from Boston on the weekends to spend money at the Assembly Row outlet stores, residents who plan on purchasing or renting apartments within the development, and the workers who will soon migrate to Somerville when Partners Healthcare constructs its headquarters nearby. Without buses dropping people off directly at the entrance, riders have the option to drive to the station, where a large sign welcomes commuters with the words “Free Parking.” That lot, however, was not open on Tuesday morning. 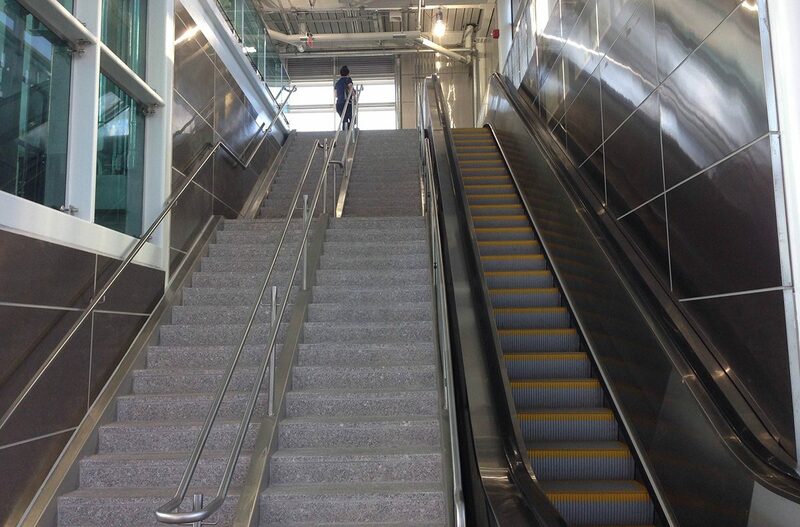 Bike accessibility will also be an option for passengers. 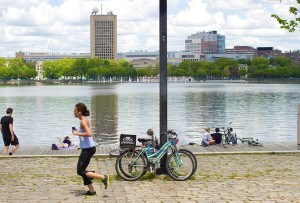 The T is working with the developers of the Assembly Row project to figure out whether or not to integrate a bike facility on site. 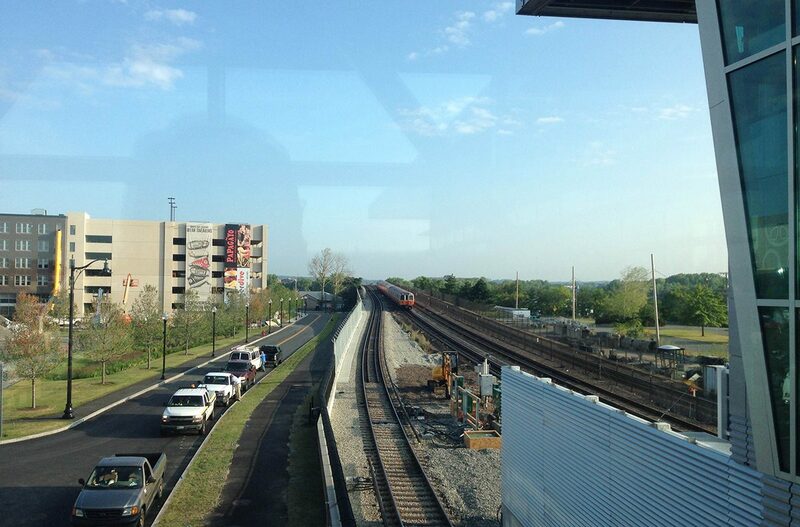 All in all, however, riders seemed pleased with the new addition to the transit line. “It’s going to make things a lot easier,” said Rod St. George, a security guard who commutes to Assembly Row.